Fried turkey necks are delicious and certainly shouldn’t be wasted! Here are some fried turkey neck recipes for you to try out today. Fried Turkey Necks: Can I Actually Eat Them? Believe it or not, there is so much more to turkey than just Thanksgiving. Of course, we love the bird as the star of a holiday meal, but if that’s the only time you’re eating it, you’re missing out. One of the reasons people don’t often eat turkey throughout the year is due to its cost. Buying a whole turkey can be on the more expensive side, but if you know how to use the entire product in your cooking, it actually becomes a great value. Turkey neck is an often overlooked part of the bird, but with the right recipes, you can make it delicious. Below, we’ve rounded up three southern-style recipes for turkey neck so you can make the most out of this ingredient. Even though we’re ALL about the deep fried turkey here at this website, we can appreciate a little variety as well! That’s why we’re bringing you some of our favourite recipes here. If you grew up eating chicken necks, you should consider substituting turkey neck in your favorite recipes. They have a similar flavor and a lot more meat, so you can stretch a dish even further and feed more mouths. If you don’t have experience with cooking or eating this part of the animal, now is a great time try something new. This turkey neck skillet with vegetables, adapted from the website Mom’s Dish, is a simple, one skillet meal. It will satisfy your family or friends and is easy enough for a weeknight. Return turkey necks to skillet with vegetables and season with salt. Add one cup of water to the skillet. Hot and spicy, enjoy this recipe with a nice cold beer or cup of ice tea. Clean the turkey necks with lime juice (or vinegar works well too). Put them into a bowl and pat dry with paper towel. Add the jerk seasoning, garlic salt and lime juice. Let sit for 30 minutes-1 hour. In a heavy pan (cast iron works well), add oil and tomato paste. Cook for 1-2 minutes. Add turkey necks and marinade and cook on low heat for about 30 minutes. Add water only when necessary. Cook until meat is tender (may require up to 1 hour). Stir as needed. Add onion and let cook another few minutes until tender. Remove from heat and serve with rice or roasted potatoes. You can add some cilantro for color. Gravy of any kind is a classic southern dish because it makes anything you serve with it taste even more delicious. This gravy from Paula Deen, the undisputed queen of southern cooking, makes use of turkey necks and other often underused turkey parts. This gravy makes a delicious accompaniment to deep-fried turkey, and would be great served with stuffing or roasted vegetables. The true southern way to cook anything is to fry it, and that is definitely true of turkey. Fried foods call to mind summer picnics or lazy weekends. They are great for feeding a crowd and make a gathering of friends and family even more festive. With a recipe as delicious as these fried turkey necks, adapted from the website Mahogany Cooks, you want to make sure it comes out perfectly every time. Having the right equipment is the key to making sure your recipe is a success. 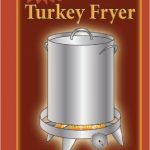 Turkey frying pots and a top-quality outdoor turkey deep fryer make it easy to fry different parts of the turkey all year round. Serve warm with your favorite side dishes. Ready to Start Cooking Turkey Like Never Before? Recipes like these are a great way to get started if you want to branch out and experiment with cooking turkey neck. There are plenty more like them as well, which will make you comfortable with cooking this part of the turkey. The more you try, the easier it will be to incorporate this into your cooking rotation. The bottom line is, turkey is good for much more than just Thanksgiving dinner. The meat is flavorful, and there are lots of different methods for cooking it. From roasting to frying, cooking turkey on any night of the year should be easy. What’s your go-to recipe for turkey necks? Jamaican, Southern-style, or fried? Leave a comment below and let us know what you think.